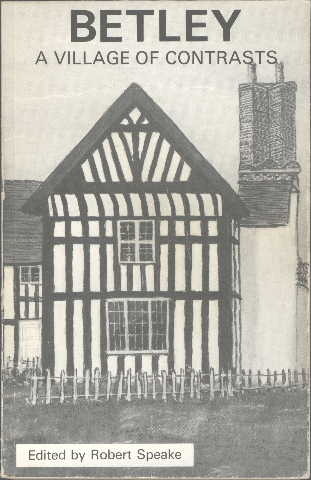 From 1977-1980, a Betley local history group arose, inspired by a Keele University extra-mural local history class held in the village by Robert Speake. 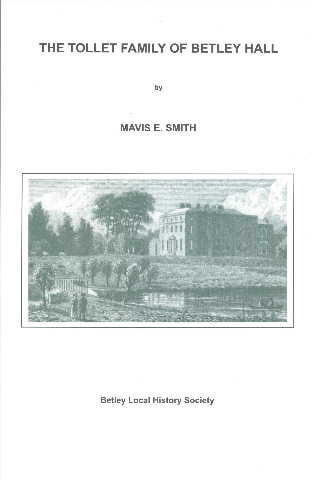 This group of local people carried out research leading to the publication of a book on the history of the village, entitled Betley: A Village of Contrasts, ed. Robert Speake, University of Keele Department of Adult Education, 1980, 225 pp. 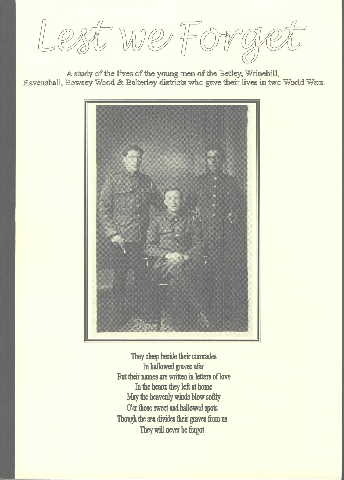 In 1997 the group was revived at the instigation of one of the original members, Lelsie Bradshaw (1921-1999), who became the first chairman of the new Betley Local History Society. A popular local man, Les was proud to have lived in the village all his life. He was a churchwarden and chorister of St. Margaret's Church for over fifty years. Les's memory is commemorated by an annual Les Bradshaw Memorial meeting in June or July each year. The aims of BLHS and details of its activities and research can be seen on the Society's website. Below are just some examples of BLHS publications and activities. University of Keele Department of Adult Education, 1980. 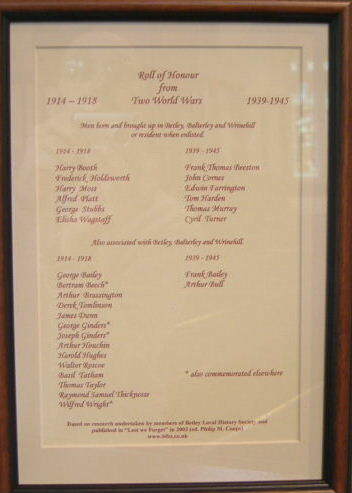 Thanks to the efforts of Betley Local History Society, it includes names previously omitted. Les Bradshaw memorial lecture by Mavis Smith, 28th July 2005.